ONE BLOCK SOUTH FROM STATE ST ON CORNER OF BROADWAY AND HAMILTON STREETS (LOTTERY BLDG). The Schenectady Social Security office is located in Schenectady 12305. The following page includes information for this location like the office phone number, hours of operation and driving directions. If you have any interests or comments about your retirement benefits or are interested in making an appointment, call the following Schenectady Social Security office. The Schenectady Social Security office is located at Schenectady 12305. The New York SSA handles separate federally run programs like retirement, SSI, Medicare and disability benefits. The following page contains essential contact information for this location such as the Social Security office phone number, hours of operation, and driving directions. 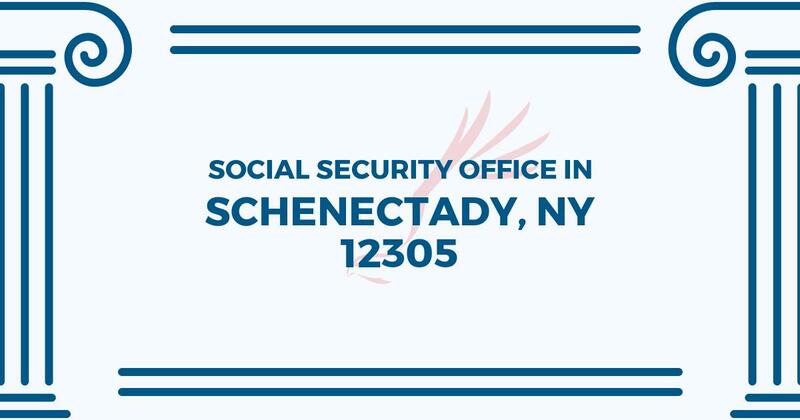 If you have any issues or inquiries about your retirement Social Security benefits or interested in planning an appointment, call the following Schenectady Social Security office. The woman I spoke with was very helpful & explained what I need to do next. I will be going down there w my aide tomorrow.